Laura Savinkoff of the Boundary Peace Initiative (“BPI”) asked me to share some insights. I thank the Boundary Peace Initiative, who work towards a world where peace lives in all its vibrancy among all peoples of the globe and the universe, for all that they are doing. BPI supports multilateral action for non-violent conflict resolution, human rights, ecological integrity for the planet and international law, through education and dialogue locally and globally. 1. BPI: Given the facts that the Nuclear Suppliers Group approved the 123 Agreement between the USA and India for supplying Uranium, now Canada and Australia among other Uranium producing nations; that India does have Nuclear Weapons, yet is not a signatory to the Nuclear Non-Proliferation Treaty; that India is proposing and is building Nuclear Power Plants with this Uranium thereby freeing their domestic supply of Uranium for weapons production; and that a large sector of the Indian population object to growth of the nuclear industry with the organizations in India protesting/ resisting proliferation, do you have any suggestions as to methods that might enhance the resistance and be more effective? 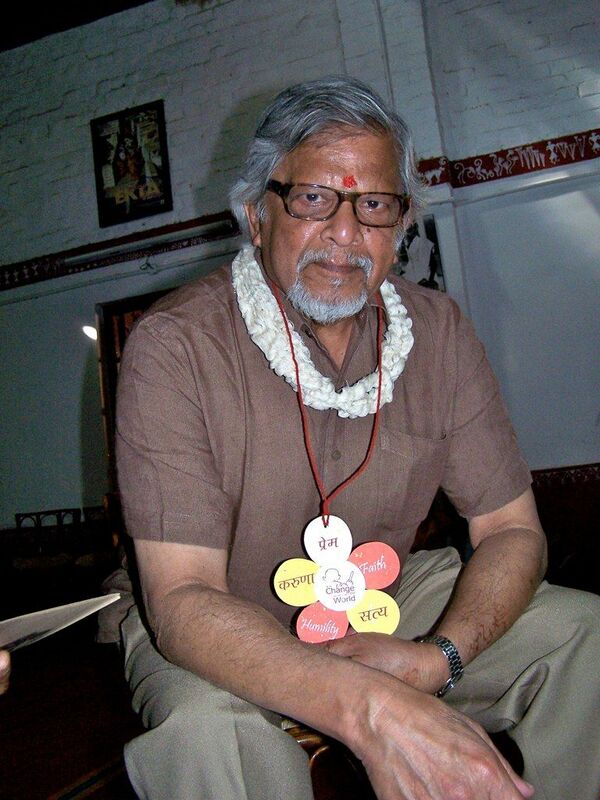 Arun Gandhi: Following in my grandfather’s footsteps I am against nuclear proliferation anywhere in the world. No country, not even India, can justify building of nuclear weapons or nuclear power facilities. However, the one important lesson from Grandfather’s philosophy of nonviolence I learnt is that “We must live what we want others to learn.” For the developed nations to say to developing nations that you should not build nuclear plants they must first dismantle their own nuclear plants. If nuclear energy is bad for the developing countries, it must be bad for the developed countries too. The developing countries suffer a shortage of power to drive their industries and light up their homes. It is important for the developed countries to use their technology to develop means to produce electric energy in a safe and clean way and offer it to the developing nations. There cannot be two sets of rules in the world. If I remember correctly the United States too has not signed the nuclear non-proliferation treaty. So, if the US can exempt itself why should others not take liberty? I am not justifying what India or Iran is doing but the idea that some nations, by virtue of their economic power, consider themselves above the rest of the world will no longer hold good. The protest is weak in India because half the nation is so poor that food is more important to them than the principles of nuclear technology, and the other half of the nation is so starved for energy for their homes, gadgets and industry that they are willing to risk anything to get it. Their logic (I don’t subscribe to this) is that if it was good for the West, it must be good for us. With all the protests here the West is not showing any inclination to destroy its nuclear plants or weapons! 2. BPI: What are your views on the continued occupation of Kashmir and the resurging violence in that region? What do you see as a solution to the ongoing conflict and what means would you suggest be employed in reaching it? Arun Gandhi: I have always been against the Indian occupation of Kashmir. If the politicians on both sides agreed to partition the country at the time of independence on the basis of communal majorities then that rule must apply to Kashmir as well. If it is evil to divide Kashmir on the basis of communal majority then it should have been evil to divide India. Just as the British ruled over India by dividing the community the politicians of both India and Pakistan are maintaining their hold by dividing the population. It is convenient to focus the attention of the population on an external threat so that they do not see what is happening under their collective noses. Under the present circumstances I would open a dialogue with Pakistan and India with a decision to divide the State so that Kashmir with its majority Muslim population goes to Pakistan and Jammu, with its majority Hindu population goes to India. However, the agreement should stipulate that this would be the last and final division of India and that Pakistan will not bring up other issues. The agreement must be comprehensive and binding. Thought on the prevention of nuclear proliferation is heavily dictated and influenced by the Nuclear Non-Proliferation Treaty, which was opened for signature on 1 July 1968 and has since been signed by 189 countries, including the five “official” nuclear weapons states: the US, UK, France, Russia, and China. The few countries that have not signed the treaty include Israel, Pakistan, India, and Myanmar. Many countries and observers have argued that the treaty is ineffective, partially because it is biased towards certain countries in that some are allowed nuclear weapons and some are not. Also at issue is the claim of NATO countries, especially the United States, that the treaty would be suspended in the case of “general war,” which seems to render the treaty moot with regards to one of the major issues it was created to solve.